Many of you have probably heard the saying: “Great leaders are born, not made.” While I do believe that certain traits of a great leader can be inherited, learning how to be an effective leader is within everyone’s grasp—and more achievable than you may think. You don’t have to move mountains to become a great leader. The leadership journey starts from within. Every single achievement you make, every single skill you acquire and every single life you change brings you one step closer to becoming a better leader. It’s all about being your best self and empowering others to do the same. Consider these four tips to sharpen your leadership skills and think about ways to implement these strategies in your daily life at work. In a recent survey from market research firm Gallup, about 50% of 7,200 adults say they left a job “to get away from their manager.” It’s important that as a leader, you provide an open environment where communication is welcomed and encouraged. Genuinely listen to others in your team and let them know they can come to you with any questions or concerns they may have. Great leaders are committed, invested and determined to make the right decisions for their business and their team. Get to know the people you lead and understand what their goals are. Brainstorm to create a shared vision so you can all achieve success together. A good leader admits mistakes and is strong enough to correct them. Business Coach and NAPW member, Jeanne Omlor said it best at our recent eChapter event, “Always follow through with what you say you will do, and own up to when you don’t…no excuses!” When maintaining professional relationships be authentic, reliable and consistent. You’ll see, it makes all the difference. Research, learn, practice, repeat! Continue to grow your professional skill set. Take advantage of STAR12, an exclusive educational resource for NAPW members. Attend live/on-demand seminars and webinars to refine your existing professional skills and help you develop new ones. It doesn’t stop there! Join our upcoming eChapter event “The Leadership Journey,” where you’ll hear from NAPW VIP industry experts who will share their leadership styles and tips – Register here. Ladies, here’s to leading without limits – you got this! We want to hear from you! Are you a leader in your field? 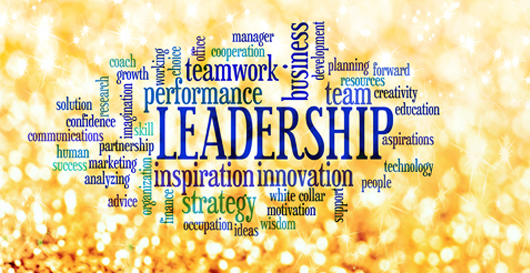 Share your best leadership techniques below.